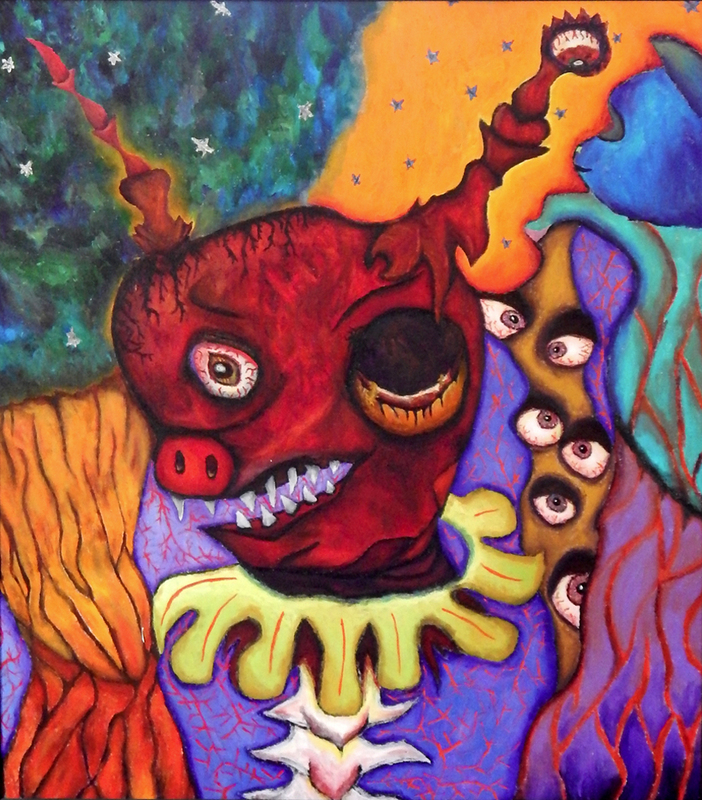 ‘Pig God’ is an ‘inner-self’ portrait depicting an anthropomorphic multi-eyed deity surrounded by richly coloured folds, thread like veins, stars and disembodied eyes. ‘Pig God’ is one of Kaeti Wietzel’s ‘automatic’ paintings that was created using the Surrealist method of psychic ‘automatism’. See also: ‘The Birth of Creation’ (2007) by Kaeti Wietzel.